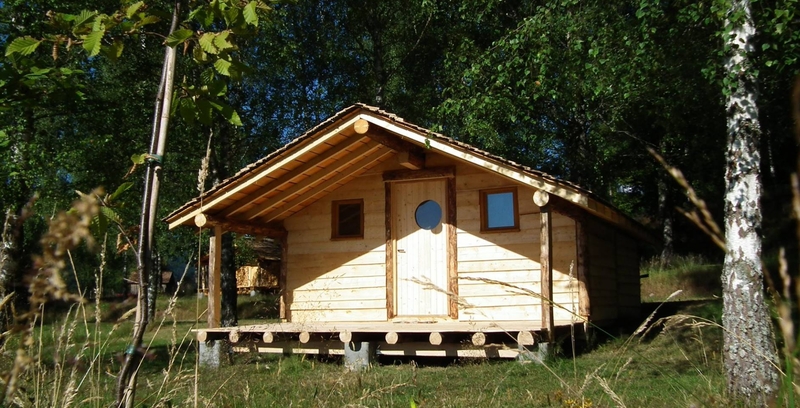 This unique accommodation can accommodate up 8 people, you will find it the equipment to cook and take your meals. You have a fridge at your disposal as well as a hot plate and dishes. The log beds have beautiful bedding and are composed of two bunk beds and a double bed.